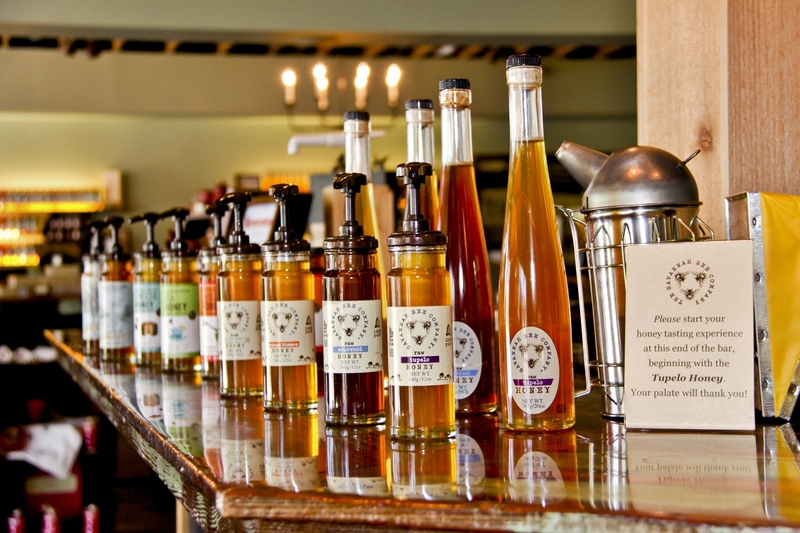 Ted Dennard of Savannah Bee Company believes that the traditional view of honey – the sticky jar or honey-bear bottle that’s been in the cabinet for years – deserves to be tossed into the trash, once and for all. Sampling honey as a sommelier would wine, he spouts off tasting notes: Quality, varietal, the whole deal. I’ve seen him use a scoop and carefully savor his product, but most times he sticks his finger into the barrel and laughs. His hair is blonde and wavy and he resembles a surfer, his smile revealing a boy’s spirit in a man’s body. He kept bees in high school then at college at the University of the South in Sewanee, Tennessee. 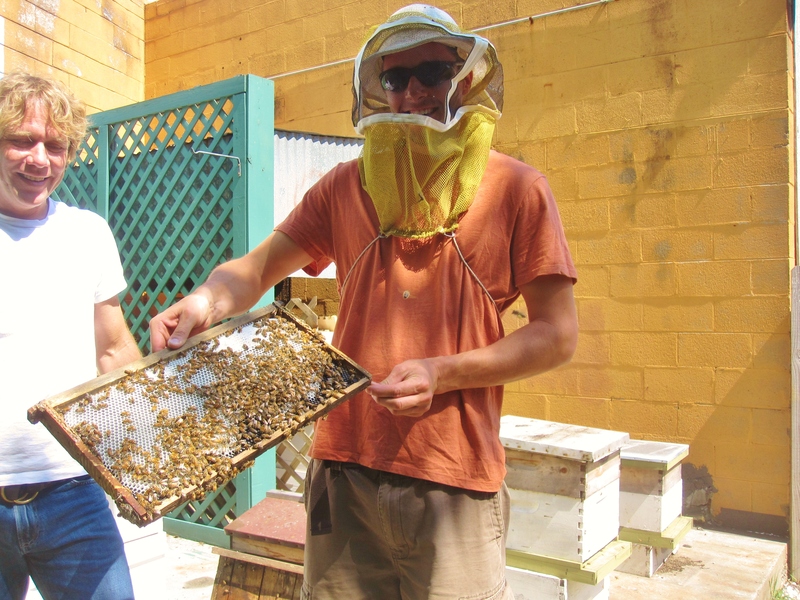 In a tour with the Peace Corps after college, Ted taught beekeeping to village farmers in Central America. He traveled the world to see bees making medicinal manuka honey in New Zealand, rubber honey in Vietnam, logwood honey in Jamaica, heather honey in Ireland, and the famous tilleul lavender honey of France. Obviously, this guy is good for a conversation. Both of his stores that I visited in the Savannah area were designed as a tasting room. 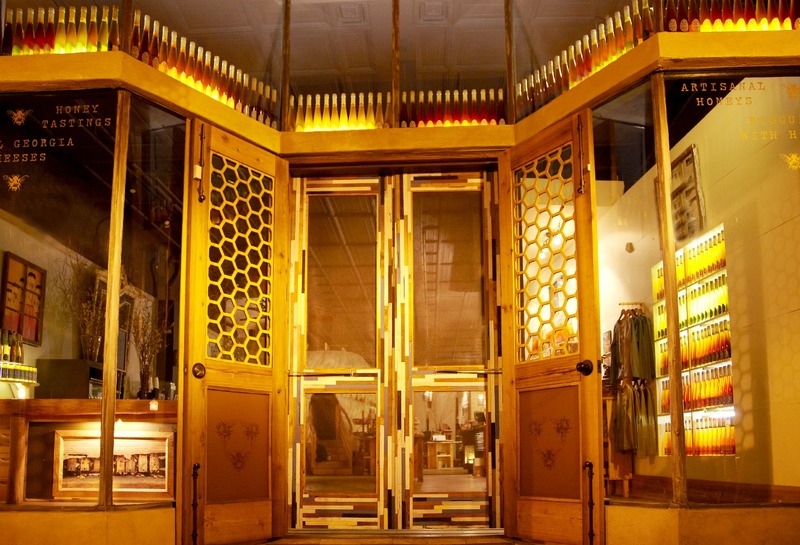 The walls are lined with bottles of honey, most resembling a slender bottle of wine. He said he’s trying to change the public’s perception, to inform people that grocery-store honey is the Two-Buck Chuck of the honey world. 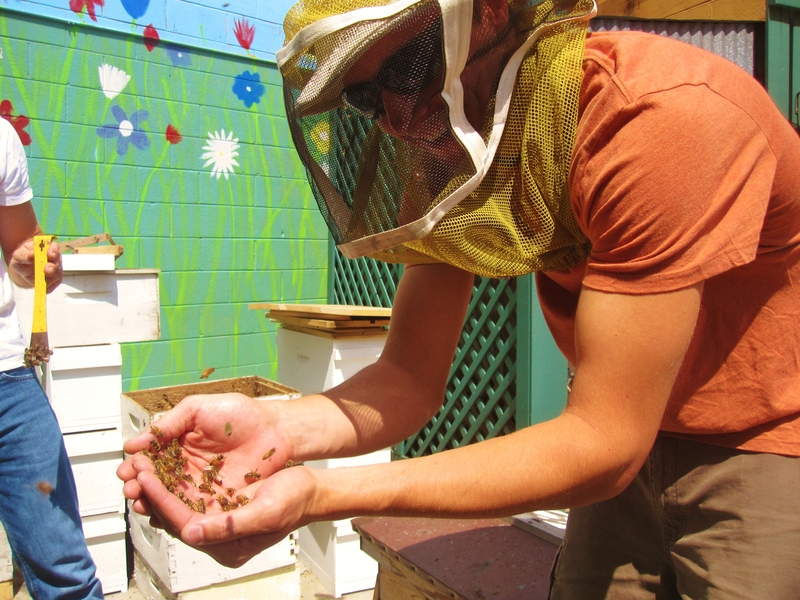 While it’s Ted’s love for his craft that ultimately elevates his product, the honey business is much more exciting that I had originally speculated, especially when you volunteer yourself for a close encounter with the busy bees themselves. 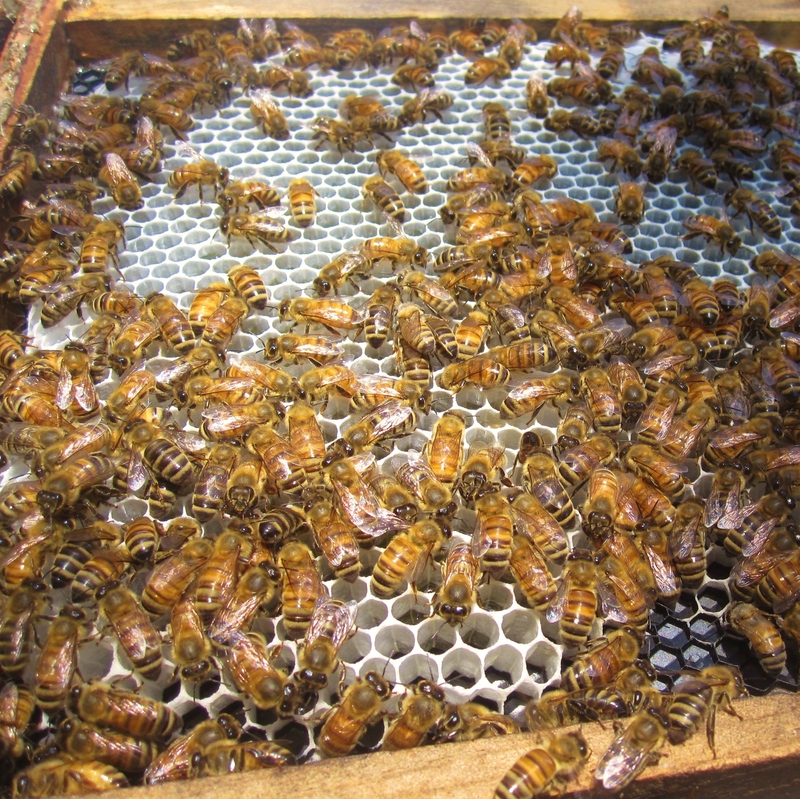 I had the opportunity to head out into the field and hear a bit about the process, interact with the bees. 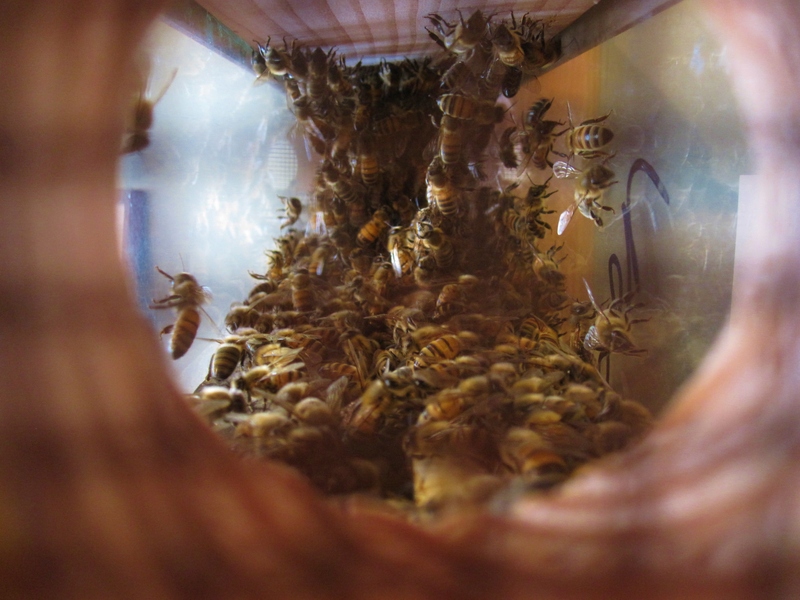 I learned how the queen bee is chosen and fed royal jelly and even saw one up close, but the latter was what I had been anticipating – I wanted to replicate what I’ve seen on television where someone’s entire body is covered with bees. Ted wouldn’t go that far, but he did assist me in digging through the hives and holding a few dozen in my hand (see photos… they were actually very friendly). His only advice: Don’t squeeze. 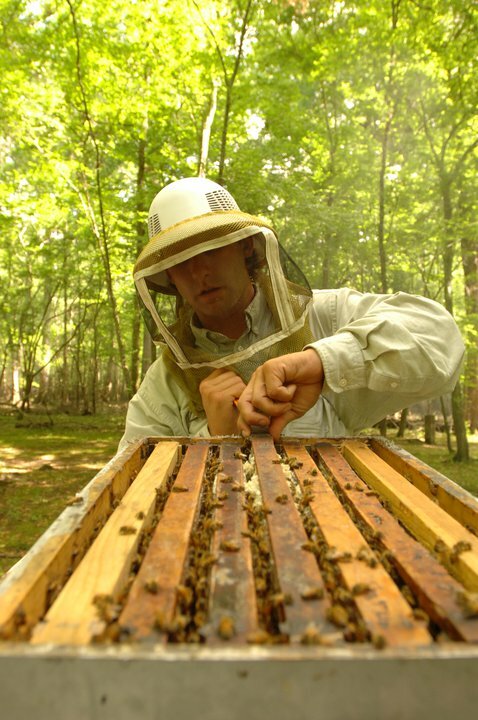 Tupelo Honey: Ted’s not shy about letting it be known that this is his favorite type of honey. I hate to play favorites, but it’s the jar I find myself going back to most often. Pretty cool: The trees from which it comes only bloom once a year for two weeks in the spring. Cheese, Grill, and Tea Honey: No clue what pairs with what? Savannah Bee puts its accouterment right on the label. Raw Honeycomb: Bees gather nectar from thousands of flowers and deposit it into a beeswax cell, then stand over it and fan their wings to evaporate the water, leaving behind a rich, syrupy substance (honey). 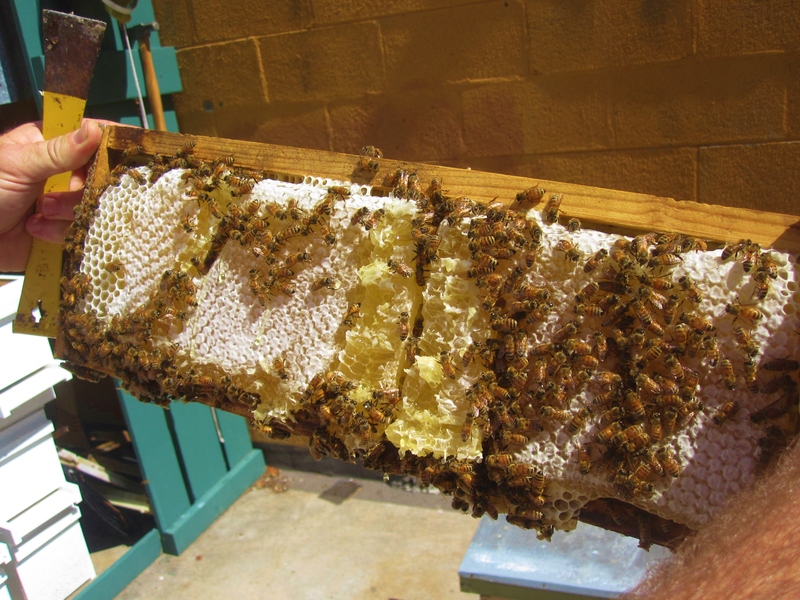 The cell is then capped with a thin layer of beeswax and reserved as food supply for the colony – we know it as honeycomb. This delicacy is an amazing appetizer or dessert, best enjoyed with slices of tart green apple and a wedge of salty sharp cheddar. A final fact that blew my mind: Five hundred and fifty bees have to visit two million flower blossoms to create one pound of honey, and then they must consume six pounds of honey to generate one pound of beeswax. Check out these recipes for more ideas on how to add honey to your diet. 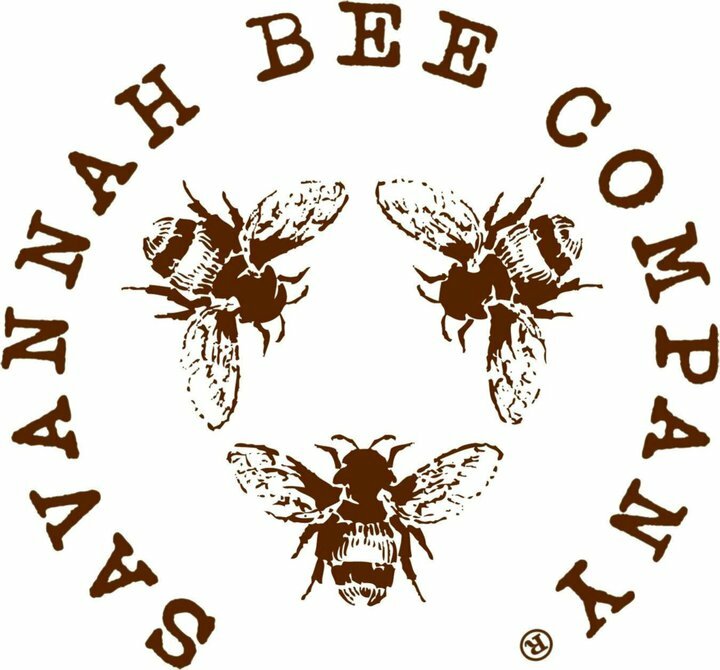 You can order honey and other products online via Savannah Bee Company’s website. When you’re in Savannah, stop by and see Ted and his crew. They will be happy to show you around. Savannah Bee Company storefront on Broughton Street. 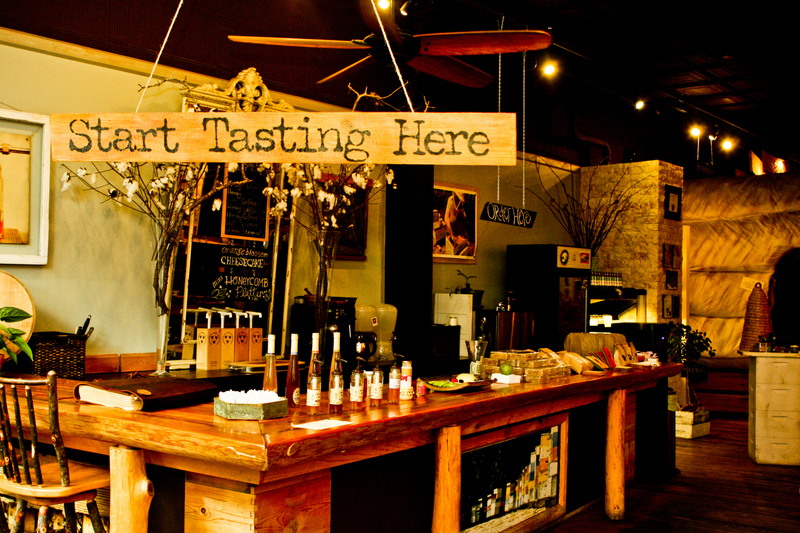 Tasting room on Broughton Street. 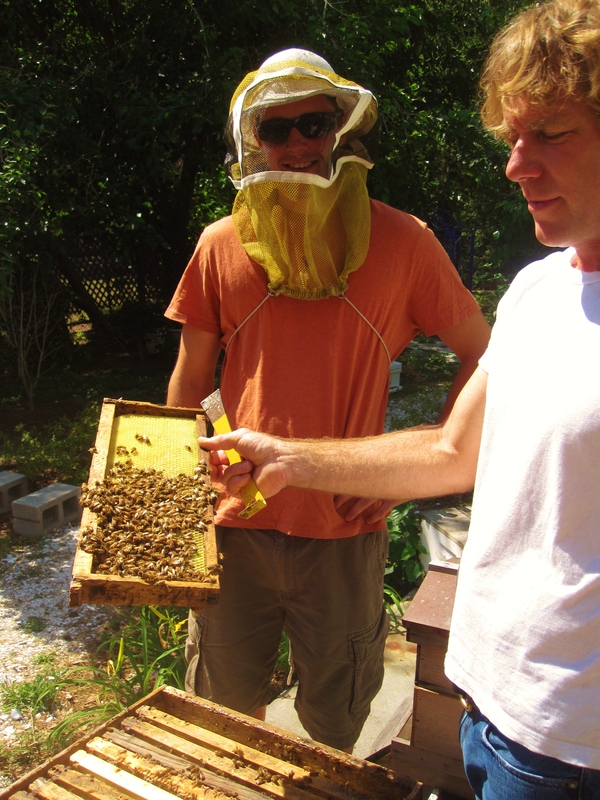 Digging through the hives with Ted (right). Yours truly handling the bees.